The Autorité de Régulation des Télécommunications et des Postes (ARTP) does not provide any ICT statistics. 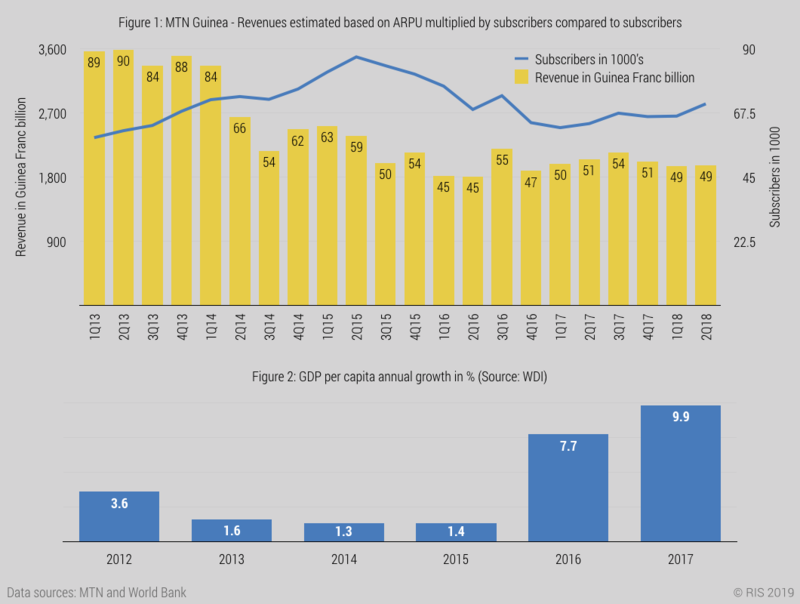 Revenues for MTN Guinea declined significantly between 2014 and 2017 when expressed in South African Rand. However, MTNs revenue expressed in Guinean Francs was stable between 2015 and 2017, pointing to foreign exchange variations as the explanation for declining revenues in Rand terms. In Figure 1, revenues are in local currency. There was a sharp decline between Q1 2014 and Q3 2014, but then relatively steady since 2015, tracking subscriber numbers. The decline coincides with a significant drop in GDP per capita growth to only 1.3% in 2014 compared to 3.6% in 2012 (Figure 2). Since Q3 2015, MTN Guinea’s revenue have been around 50 billion Guinean Francs per quarter. In comparison, Sonatel Guinea’s revenues increased in local currency as well as in Euro’s. MTN’s revenue volatility is due to a number of other factors, including exchange rate fluctuations and cannot be attributed to the impact of OTTs. Sonatel Guinea’s revenues have increased while MTN’s have declined. Other factors, such as GDP growth, exchange rate fluctuations, state of competition, etc. 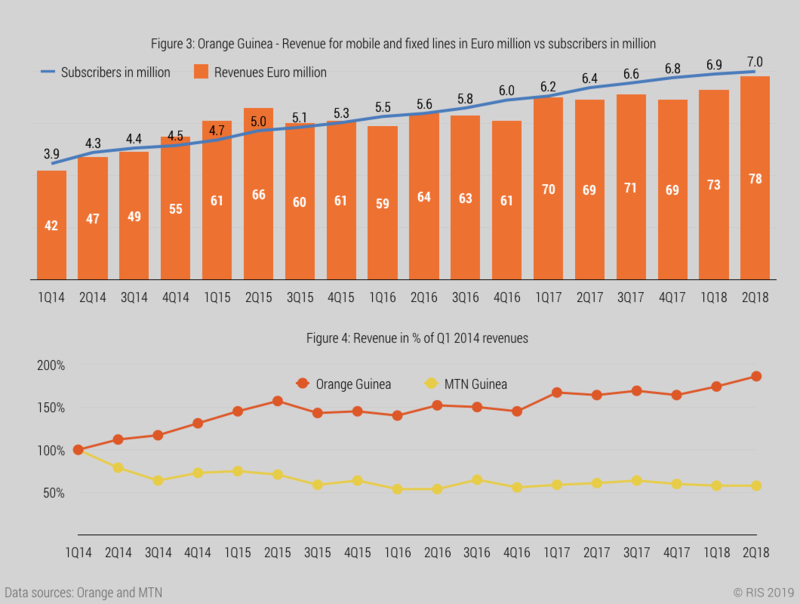 are more likely to have impacted on MTN revenues than OTTs.